QUEZON CITY -- Out of 151 names in the official pool of applicants, former ABL star Joshua Munzon was selected as the first overall pick by AMA Online Education in the 2019 PBA D-League Draft at the PBA office. 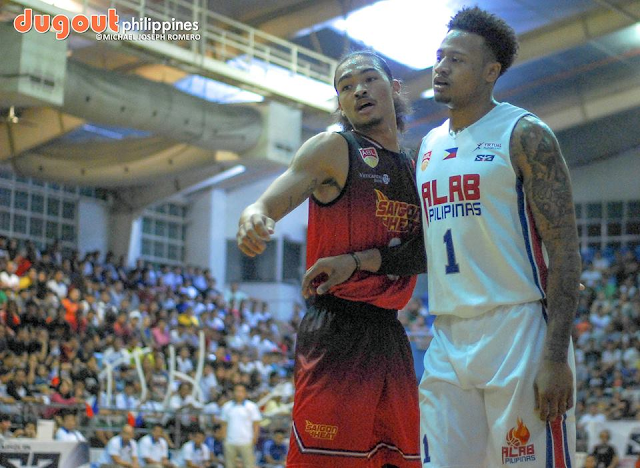 Munzon, who starred in Saigon and Malaysia in the ABL, is set to play in his first league in the Philippines. Santi Santillan of the De La Salle Green Archers was picked second by Marinerong Pilipino. The first half of the first round was rounded up by Jeremiah Pangalangan going to Go For Gold-CSB as the third pick and Adamson stalwart Sean Manganti to Che'Lu as the fourth pick. To close out the second half of the first round, NU big man Troy Rike ws picked fifth by Wangs Basketball, Kristoffer Torrado went to Diliman College as the sixth pick, Christian Nidoy was selected at seventh by Trinity University of Asia, and McDavid selected Jerome Villanueva of San Beda as the eighth pick. Notable UAAP stars such as DLSU's Kib Montalbo and NU's Matthew Aquino slid to the second round; two-time champion from ADMU Anton Asistio went to Marinerong Pilipino in the fourth round; NU guard Rev Diputado was picked by McDavid in the fifth round; UP's star shooting guard Juan Gomez de Liaño and FEU scorer Jasper Parker were drafted in the sixth and seventh rounds respectively by Che'Lu; and Jun Manzo of the UP Fighting Maroons went to Diliman College in the 16th round.